+ Resists Bulk Water Bulk water is blocked while allowing vapor to pass through. 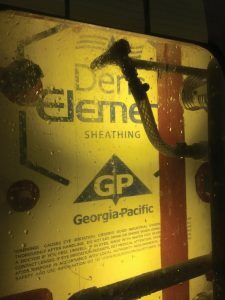 DensElement® Barrier System is the result of innovative science called AquaKOR™ Technology, which features a proprietary formulation that integrates the gypsum core and the fiberglass mat to form a hydrophobic, monolithic surface that blocks bulk water, but allows vapor to pass through. By retaining high permeability, DensElement® Barrier System enables moisture vapor to pass through the wall in both directions in any climate. This allows wall assemblies to dry out should they get wet, helping to avoid mildew, mold and deterioration. 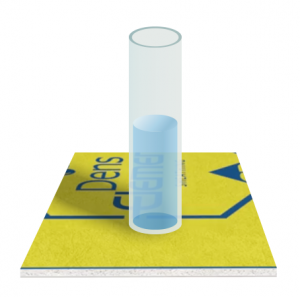 As DensElement® Barrier System is a continuous WRB-AB, no separate WRB-AB is needed. RDH Building Sciences tested a variety of commonly used cladding attachments over DensElement® sheathing, as well as other high performance WRB systems, to determine how cladding fasteners penetrating through WRB systems may contribute to water leaking in wall assemblies. The testing demonstrated how the cladding fasteners are attached to the surfacing has the most bearing on whether or not the assembly leaks, regardless of the type of WRB system. The tests also revealed that, under normal weather conditions (normal defined as ASTM E331 test criteria) water did not penetrate into the wall cavity through the cladding attachment fasteners in any of the assemblies tested. Finally, RDH recommended best practices to reduce the potential for leaks, which in combination with the provision of drying potential to address small amounts of water when it does get into the wall assembly, will provide the highest level of performance. Just like the DensGlass® GOLD Sheathing that you know and trust, the DensElement® Barrier System incorporates the same high quality and performance you would expect from Georgia-Pacific Gypsum. The premium nature of the DensElement® Barrier System merits a premium warranty. Our competitive warranty includes both a 10-year manufacturer’s defect limited warranty and a 12-month limited warranty against delamination or deterioration of the DensElementTM Sheathing from exposure to normal weather. See our limited warranty for complete details. DensElement® Barrier System carries the most widely accepted and trusted evaluation mark in our industry – the International Council Evaluation Service [ICC-ES®] Evaluation Service Report [ESR]. In addition, it’s performance when lab tested speaks for itself. DensElement® Barrier System with AquaKor™ Technology is listed with the Air Barrier Association of America (ABAA). This listing is achieved by DensElement® Barrier System completing the ABAA evaluation process, meeting the ‘Factory Bonded Membranes to Sheathing’ air barrier requirements listed by ABAA. 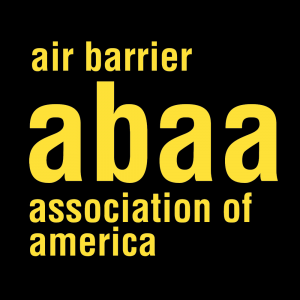 ABAA is the center of excellence in the air barrier industry. They are dedicated to raising the industry’s standard of proficiency. "It outperformed other products in the end, and testing doesn't lie."